I was watching some pictures of last year because I am very nostalgic and I remembered exactly one year ago I was enyoing the beach of Capri , one of the most beautiful places I've ever been into. 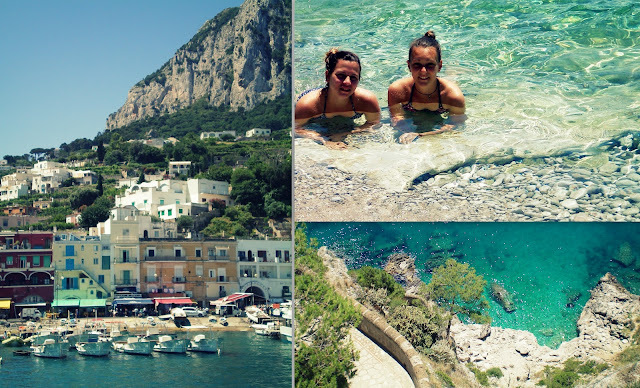 Capri is an italian Island where people is so nice and beautiful. I had a great time last year in Europe , in some other post I'll show you more pictures of the places I knew! I would love to visit there sometime. You take such lovely photos! wow, capri looks so beautiful! thanks for sharing! Europe, such an amazing continent! Love the photos! Great photos, looks like fun! Capri es bellísima!!! :)que lindas fotos!!! Capri seems to be amazing.